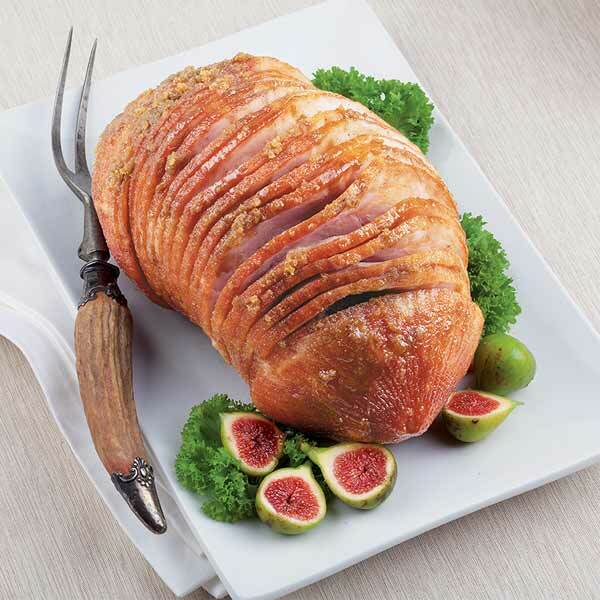 Family-sized, bone-in "sweet ham" patiently hickory smoked for mild, sweet flavor. Already cooked and ready to serve. 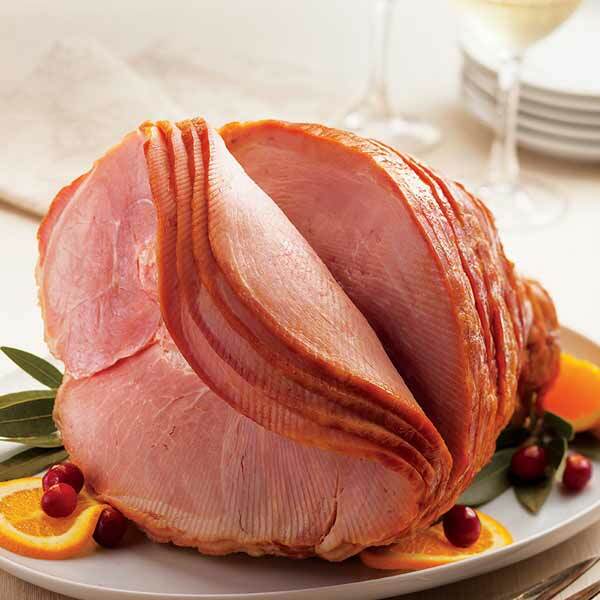 The mouth-watering king of sweet ham! Lean and sweet (no country-style salt curing), and hickory-smoked to create a mild, tender, smoky flavor. Unlike supermarket hams, no water is added for weight or artificial juiciness. The genuine article in every bite. At around 18-20 lbs., it is large enough for a hungry horde of guests, or for your family to enjoy ham dinners and sandwiches. Serves 34. This product is shipped frozen. NOTE: Because these hams are produced in a separate facility from ours, which burned in the January 2016 fire, returning customers may experience a different and milder flavor profile than what they're used to with this ham. However, we still honor our 100% Satisfaction Guarantee. Thank you for your consideration as the recovery process continues. Ingredients: Ham, water, salt, brown sugar, sodium lactate, cane sugar, sodium phosphate, sodium diacetate, sodium erythorbate, hydrolyzed corn protein, sodium nitrite, dextrose. Storage: This product arrives frozen. Refrigerate upon arrival. Allow 2-3 days for the ham to thaw completely. PreparationThaw the ham completely. Preheat the oven to 350 degrees F. Remove ham from the plastic bag, remove the plastic bone guard and brown cover around the shank. Place in shallow pan and cover with foil. Heat in the oven until warm, approximately 2 to 2 1/2 hours. Let rest for 15 minutes before serving.